San Diego Padres scouting report on draft pick Greg Anthony: "He's got three solid pitches by which we mean we need to limit his pitch count to three. ... He's very insistent that we change our uniforms to paisley. ... Plus-plus ability to pose in front of trees. ... Almost strangled himself with his own necklace a couple of times. ... Eats Vienna sausages by the case. ... 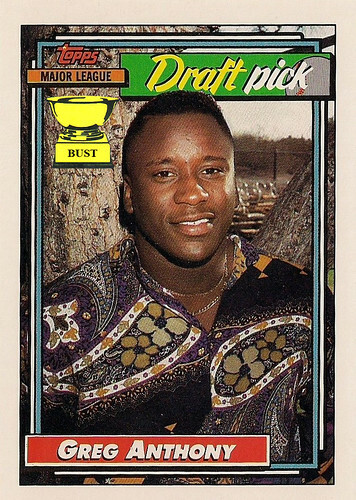 It's always risky drafting a two-sport star, but he could pay off. Wait, this is UNLV's Greg Anthony, right? No? That's it, I resign."